Florida Russian Blue Rescue View other Russian Blues for adoption. 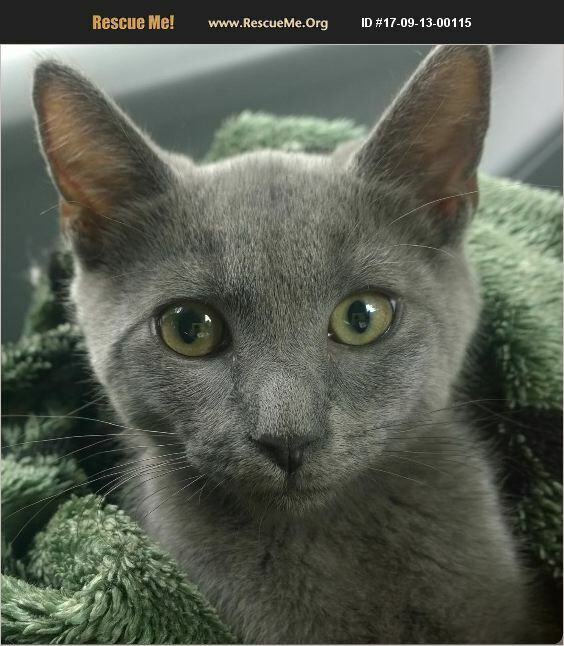 Eddie is listed as a 3-month old Russian Blue. I believe he's closer to 4-months. If you're looking for a super sweet and SUPER affectionate kitten, Eddie's it! He's a total cuddle bug, purr baby. It would be nice if he had a play buddy. Eddie is neutered and fully vetted (rabies vaccine, tested for FIV and FeLV, dewormed, flea treated and microchipped). Paperwork provided.